Even the best laid plans go awry, as Banksy’s latest video posted on Instagram last night would have us believe. Shred the Love, the director’s cut, shows how the elusive Bristolian street artist rehearsed his auction stunt before the button was pushed on Girl With Balloon at Sotheby’s on 5 October. “In rehearsals it worked every time…” the film states before cutting to a shot of another Girl With Balloon painting (also worth £1m?) being sent through a shredder and dropping to the floor in strips amid laughter in the studio. That the painting was only half-shredded during the actual performance had raised questions about whether it was a deliberate ploy to preserve half the composition. The fact it did jam ultimately meant there was half a work to salvage, and therefore sell, which Sotheby’s did a week later. 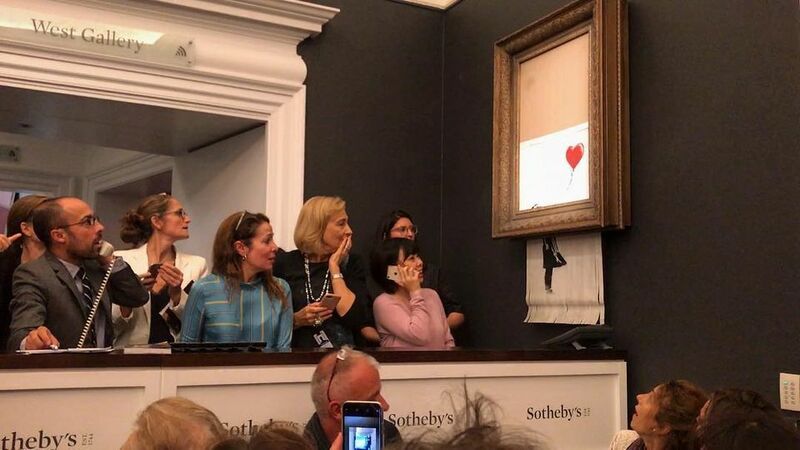 The questions will no doubt keep on coming, but one thing is certain: by releasing this video, Banksy will have added another one million followers to his Instagram account overnight.